Stadium Digital and the Canadian Hockey League (CHL), partners with CIBC, unveiled a new, interactive fan engagement platform out of Toronto to showcase video, content and highlights. 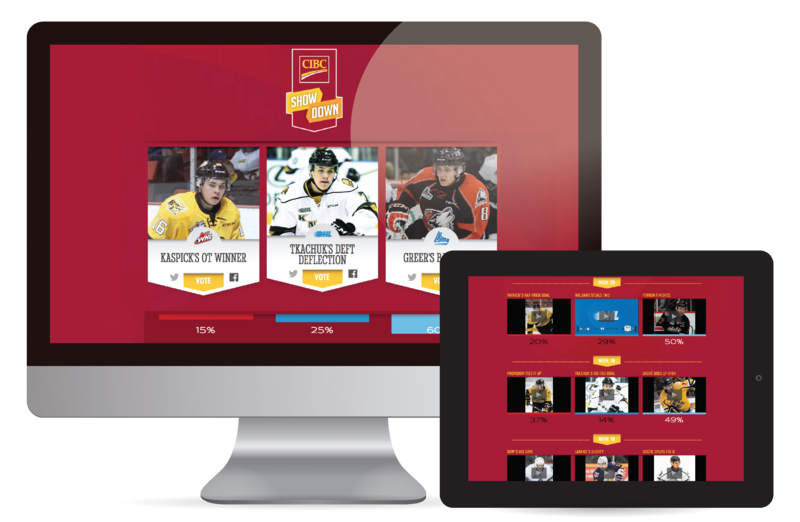 The OHL, WHL and QMJHL are providing fans throughout Canada with the CIBC Showdown digital video player designed to provide a technology-driven environment complete with social media sharing ability and voting on the weekly selection of the best highlight. The Sports Techie community blog readers and followers in North America and worldwide can also participate with this innovative online and mobile fan experience. The minor league and junior playoffs are right around the corner meaning teams and players are performing at peak levels as they jostle for final playoff positioning. Now CHL fans can stay on top of the action with the click of a button and then share favorite videos with fans instantly. Canadian Hockey League Powered By Stadium Digital Provide Fans With CIBC Showdown Platform – SportsTechie blog. Stadium Digital is powering the CIBC Showdown platform delivering each leagues and teams best content across the web and digital devices. This custom-built video player is also a robust hub ready to let users share with fellow hockey fans, family and friends on personal social platform handles via tag #CIBCShowdown. The development team at Stadium Digital launched a comparable video engagement platform for the Hamilton Tiger-Cats of the CFL. The franchise’s popular Play of the Year has evolved into a the place for Tiger-Cats fans to vote on the team’s top plays from the past season. There are ongoing business discussions between Stadium Digital and other teams and leagues to integrate the ShowDown and Play of the Year platforms for the benefit of partners and fandom. Stadium Digital Powers New Interactive Engagement Platform for Canadian Hockey League and CIBC. Sports Techie, the sport of hockey is fast-paced, aggressive and transparent just as this Showdown deal between Stadium Digital and the CHL/CIBC signifies for hungry fans across Canada and beyond the wireless borders. Sports tech is revolutionizing fan experiences behind these types of win-win partnerships. Get ready to watch video and vote on your favorite plays, performance and outcomes by engaging with the CIBC Showdown and then sharing your love of the game across social media. He shoots and scores with CIBC Showdown powered by Stadium Digital.